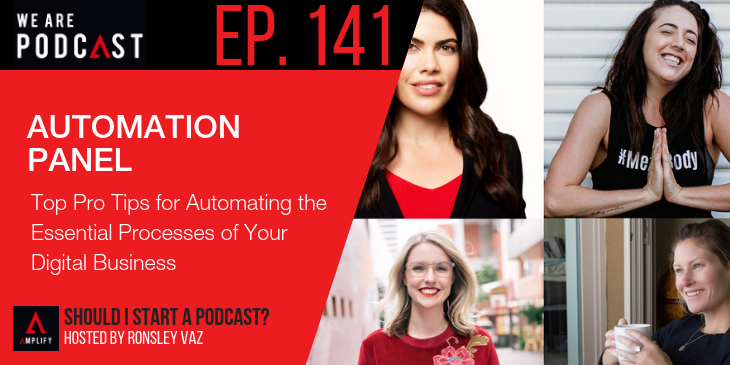 Automating the processes and procedures of your business is not the sexiest of topics, but it can be vital to building a manageable and scalable enterprise. In this panel-style discussion recorded at the We Are Podcast 2017 event, four top digital entrepreneurs share their best tips and advice on developing a product ecosystem, getting your frameworks and standard operating procedures in place, how to create successful nurture sequences, and a bunch more. Packed with useful and usable information and lessons learned – from both successes and failures – this episode will leave you with a bag full of practical tips and inspiration for your podcast or business. How hard is it to add to an existing product ecosystem? Why do entrepreneurs ignore SOPs?